To celebrate the publication of Radical Thinkers set 11, a set of 4 classics of Marxist economic thought, and in the run-up to the launch event at the ICA in London on Tuesday October 6th, we bring you an exclusive extract from Diane Elson's Value. Value was one of the first major contributions to value-theory in the English language, and contains seminal contributions to the study of the value-form by Jairus Banaji, Elson and Chris Arthur. This essay, written by A Aumeeruddy and R Tortajada, introduces the main works of Marx's that form basis for the study of the value-form, from his early 1844 maunscripts right through to Capital and the marginal notes on Adolph Wagner. Marxist theory (and, in particular, the theory of value) has been, and remains, a source of much controversy. On the one hand, the ruling class ceaselessly and systematically attacks 'marxists', at the same time attempting to recuperate, if not co-opt, Marxist theory by stripping it if its revolutionary content. On the other hand, some Marxists themselves try to turn Marxism into an 'improved political economy'. If an 'economistic' reading of Marxism has proved possible, this is because there exist certain texts by Marx which admit this reading, while at the same time other of Marx's texts criticise such an approach; Marx's relationship with political economy is consequently very complex, and there can be no question of a key or set of instructions for reading Marx's works. The reader can, in fact, begin with any text. Nevertheless, two works can be recommended as a starting point—the two series of lectures which Marx prepared for workers’ organisations, and which directly address political and social struggles, both against capital and within these organisations themselves. The first series—subsequently collated by Engels under the title Wage Labour and Capital —dates from August 1847 and was written for the German Workers' Association of Brussels as a contribution to these workers' 'political education'. The second series of lectures was considered by Marx himself to form a 'course in political economy', although he emphasised 'that it isn’t easy to explain all economic questions to the uneducated' (Letter to Engels of 20th May 1865). It dates from June 1865, and was written for the General Council of the International Working-Men's Association. Subsequently published under the title Wages, Price and Profit, it enjoyed massive circulation in pamphlet form, like the first series. 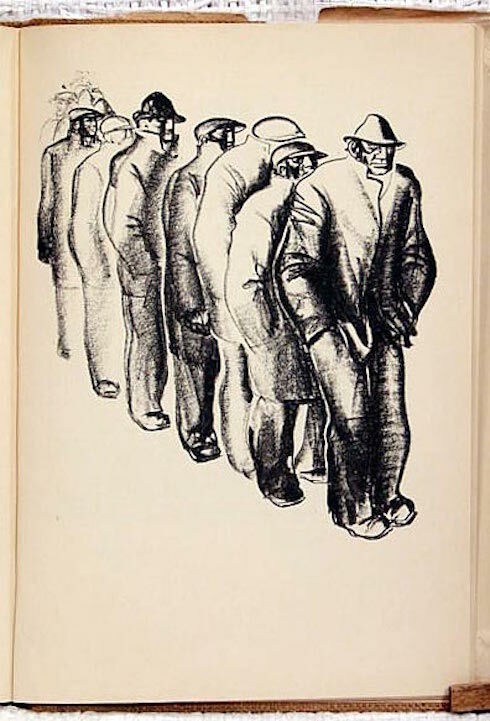 The advantage of starting with these texts lies not only in the fact that they are short, in plentiful supply, cheap, and thus readily available, but also in that Marx himself gave them a pedagogic character they formed, and continue to form, a model of how to spread Marxist theory within the working class. There is, however, the apparent paradox that these texts leave relatively obscure—or rather, deal in summary fashion—with certain aspects which are today at the centre of debate on Marx's theory, in particular the notions of value, of value-form, of magnitude of value, of the existence of the commodity, etc. In order to understand Marx's relationship with political economy more deeply, it is essential to refer to other texts. The purpose of this note is to present a selection of these. This selection can obviously be neither neutral nor complete, particularly since Marxist theory is itself neither neutral nor finished except, that is, when trans-formed into its opposite—dogma. 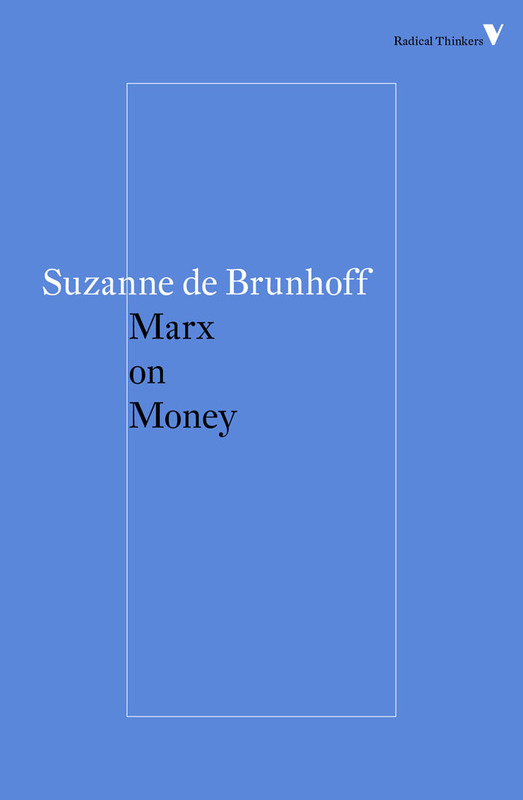 The texts which we put forward are thus those which seem to us the most adequate for understanding Marx's relationship with political economy, and are one way or another at the centre of the current discussion on this relationship. It is common, particularly among 'economists', to start with Volume One of Capital, or in some cases with its forerunners, the Contribution to the Critique of Political Economy, or the Grundrisse or even the Theories of Surplus Value, often neglecting the works of 'the young Marx' which are considered to belong to the field of 'philosophy'. This kind of approach in fact reflects the academic separation of the 'social sciences', and it is consequently not surprising to see an academic like Schumpeter distinguishing a 'sociologist' Marx, a ‘philosopher’ Marx, an ‘economist’ Marx, etc. 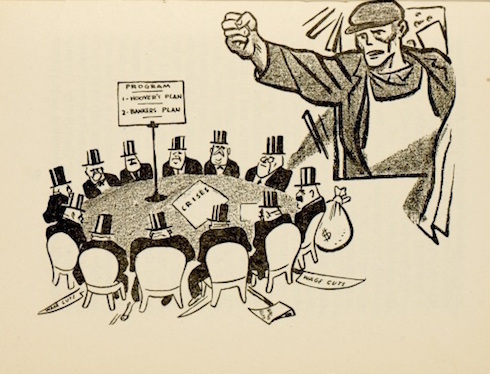 However, Marx's very procedure invites us to reject this separation and not to see Capital as a work of political economy (albeit a 'left-wing' one), nor even as the culmination of a system of thought but as a moment in the development of a theory which sets out to challenge the existing order. The order in which these texts are presented in no way seeks to define the best order for reading them, nor even to place them chronologically in order of writing or publication. As has been said above there is no 'key' to reading Marx. The Marginal Notes on Adolph Wagner’s 'Lehrbuch der politischen Okonomie' have been placed first not because these notes are Marx's least known work on political economy, but simply because this is one of the rare texts in which Marx replies directly to an economist who ventured to criticise his theory of value. This was written in 1881-82 (or 1879-80) and first published in 1932 as an appendix to the Moscow Marx-Engels-Lenin Institute edition of Capital. c) that value, use-value and exchange-value are not alternative concepts, in logical opposition to one another, but are the forms in which the commodity presents itself: in other words, three forms which co-exist. In reading Capital it is necessary to bear in mind the Introduction sketched out by Marx in August 1857 for A Contribution to the Critique of Political Economy. In this 'Introduction'—which was not in fact published with the Critique but can be found in the edition of the Grundrisse prepared by M Nicolaus and published by Penguin Books, 1973, pp. 81-111 -Marx shows that in presenting an exposition of his theory, it was in fact necessary to reverse the order in which it was constituted, a reversal which represents a significant formal aspect of Capital. It must also be remembered that the texts published posthumously under the title Capital Volumes II and III and the analyses collected in the Theories of Surplus Value were, as regards essentials, already in existence before Marx wrote the first volume of Capital. Consequently, neither Volumes II or III of Capital nor the Theories of Surplus Value are intended to 'complement' or 'make specific' the 'abstractions' of the first volume of Capital. On the contrary, it is on the basis of reading this latter, and more particularly Chapter 1 that certain of the questions raised in Volumes II, III and in Theories of Surplus Value can be analysed. This does not mean that these works are not worthy of attention. On the contrary, study of them is an integral part of research-work aimed at clarifying the relations between Marx and political economy. The questions which today appear central to numerous debates relating to Marxist theory are posed from the first chapter of Capital, (a chapter which, as Marx himself wrote in his Preface to the First Edition of Capital presents 'the greatest difficulty'.) Among them are: the primacy of the category 'commodity’ for the comprehension of capitalist relations; value and its forms; the magnitude and measurement of value; the status of labour and abstraction; the relationship between Marxist theory and Ricardian theory; and the fetishism of commodities. However, two of the questions raised seem to us to require particular attention insofar as one led Marx to rewrite the beginning of Capital Volume I, and the other defines a certain mode of reading not only this work, but Marxist theory as well. The first concerns the relation between the study of value and of the forms, which it assumes. It is important firstly because the relationship between the 'value' of a commodity and .its phenomenal form 'exchange-value' is at the centre of the debates on Marx's relationship with political economy. Moreover, understanding of the 'general equivalent' and hence of money derives, in Marx's view, from an under-standing of the forms of value. Finally, it is this same question which is at the root of the profound reworking of Capital Volume I by Marx between the first and second editions of Capital, a reworking retained in subsequent editions. In the first edition, Chapter 1 was in fact devoted to the 'commodity' and to 'money', and was divided into three sections: The Commodity, The Process of Commodity-Exchange, Money and Commodity-Circulation. Analysis of the forms of value was consigned to an Appendix at the end of the work, in which Marx analysed these forms systematically and in detail. The three sections became the first three chapters of subsequent editions and the appendix was reintegrated into the first of them. b) Volumes II and III are seen as Marx's attempts to relate his 'abstract' theory to some reality, thus characterising Karl Marx as a 'builder' of economic models to be tested against 'reality'. On the one hand there is a process of thought or reasoned abstraction, to use the terms Marx himself employs in the Introduction, and on the other hand, on an entirely different level, a process of real abstraction. Reasoned abstraction is to do with the discovery of categories, which permit bourgeois social relations to be understood. As Marx emphasised in his pamphlet against Proudhon, 'Economic categories are only the theoretical expression, the abstractions of the social relations of production' (The Poverty of Philosophy,(184647), Lawrence & Wishart, n.d., Chapter II, Second Observation, p. 105). At the same time, he makes it clear that these abstractions are not to be confused with the social relations themselves. Later, in writing the Preface to the first edition of Capital, he returns to this aspect of abstraction, pointing out that 'in the analysis of economic forms moreover, neither microscopes nor chemical reagents are of use. The force of abstraction must replace both.’ and that within bourgeois society this leads one to set out from the simplest and, it would seem, most immediate form, the commodity. Study of the commodity is thus the corner stone of the analysis of a society characterised by the generalisation of commodity relations to include the labourer himself. 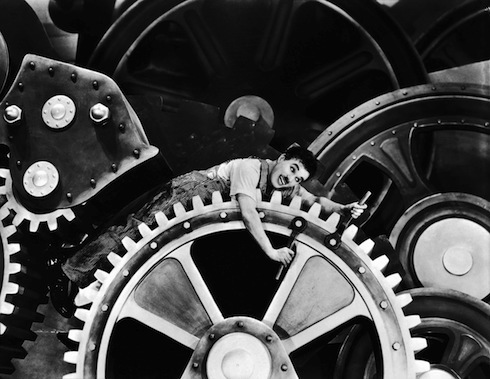 In bourgeois society, where the private division of social labour prevails, products are the result of private, isolated processes of production operating independently of one another. It is only when production has been completed, that is to say when the labour mobilised has been objectified in a determinate good, that producers' respective acts of production encounter one another on the market, as products offered in exchange for money. And the producers will only know that their products effectively answered a social need if they succeed in exchanging them. Commodity-exchange is the social mode of recognition of the different products, and it is via this exchange that they cease to be products and become commodities, or rather that the commodity which is potential when the product is present on the market becomes real—is realised. It is thus as commodities that the different acts of labour privately carried out in separation from one another become fractions of social labour. But commodity-exchange is only conceivable if there exists a relation of equivalence between different commodities. From the point of view of their use-values—the physical characteristics of the products -commodities are of course different, hence non-equivalent, and it is precisely this difference, which is the motive force of exchange. But in the course of exchange, the use-value of the commodities is abstracted from, and only the social capacity of the commodities to be exchanged is recognised. According to Marx's terms, this 'abstraction' entails abstraction from the specific characteristics of the acts of labour objectified in the commodities. This leaves the commodities as nothing but the result of human labour, without regard to the particular form it takes, in other words of labour 'full stop'. This is abstract labour. It is because all products participate in this process of abstraction when they become commodities and are therefore recognised as fractions of abstract social labour that one can conceive of establishing a relation of equivalence between them; they belong to the same sphere. In order to avoid any ambiguity, it is worth emphasising that the process whereby different acts of labour are reduced to abstract labour has nothing whatever to do with the process whereby 'complex labour' is reduced to 'simple labour'. Whereas the first process is involved in the founding of value, the second belongs to a different logic: it relates to the measurement of magnitudes already constituted. Sometimes known as the 'lost chapter' of Capital, this was written be-tween June 1863 and December 1866 and was first published in 1933, simultaneously in German and Russian. An English translation has recently been made by Rodney Livingstone, and appears as an Appendix to the new Fowkes translation of Capital, I, Penguin Books, 1976, pp. 948-1084. It was originally planned as a transitional chapter between Volume I and Volume II of Capital, as it is not definitely known why Marx discarded it. 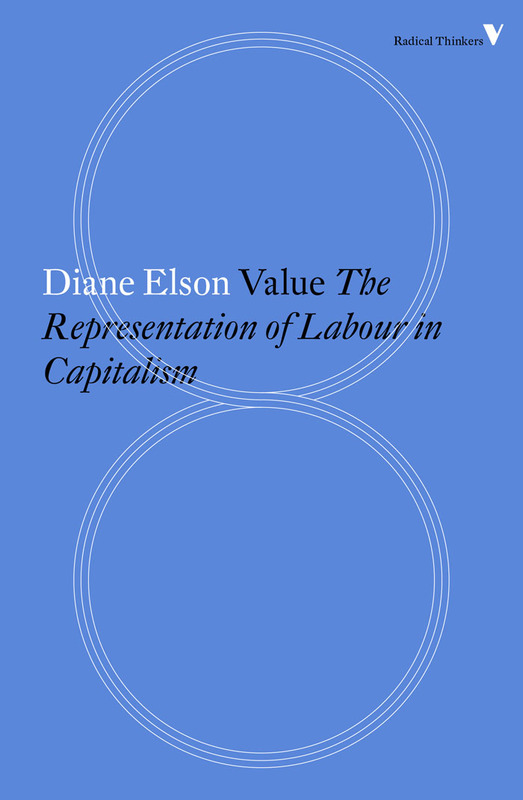 It contains both a synthesis of the argument of Volume I, and a further development of the relations between 'value' and 'use-value' in terms of the subsumption of labour to capital. 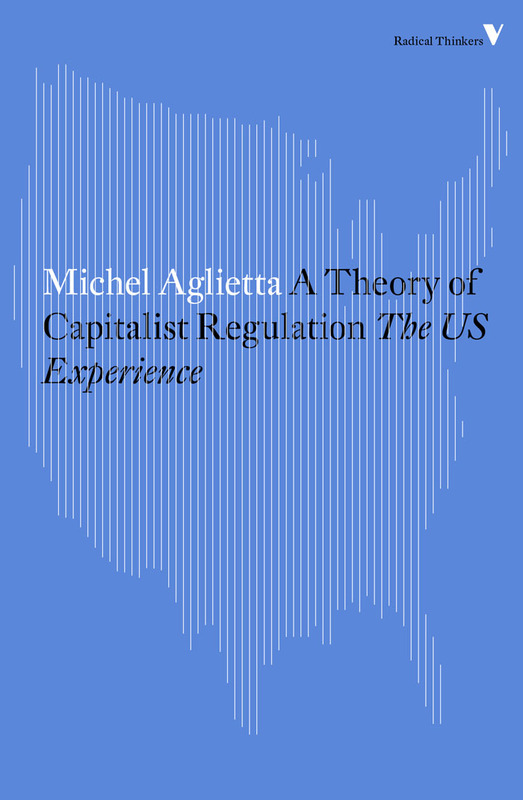 It completes the argument of Volume I by investigating commodities not only as the premise of the formation of capital but also as the result of capitalist production. 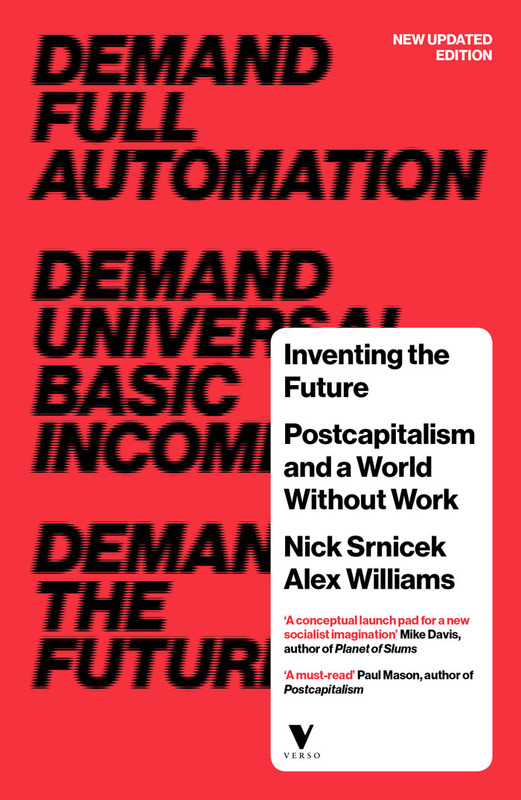 'Only on the basis of Capitalist production does the commodity actually become the universal elementary form of wealth'. (Op. cit., p. 951). Written in 1857 (dated 29th August), it was first published in Die Neue Zeit, 1903 (? ); and republished in 1939 by the Moscow Marx-Engels-Lenin Institute. Although Marx did not publish this 'Introduction' on the grounds that it anticipated too much the ideas developed in the work itself, it is of fundamental importance both to understanding Marx's 'methods' and to his critique of economic analysis which began from the isolated 'individual' and considered 'production', 'distribution', 'exchange' and 'consumption' only as separate economic 'moments' not as inter-penetrating processes. Written in 1858-9, it was first published in Berlin in 1859 under the title Zur Kritik der Politischen Okonomie. An English translation, edited by Maurice Dobb, was published by Lawrence & Wishart in 1971. The most famous section of it is the Preface, but more relevant to the question of value is the first chapter, entitled The Commodity. It is one of the few works published during his lifetime by Marx himself. (a) Letters from Marx to Engels, 2nd and 9th August, 1862. (pp. 157-161; 164-165). It was in connection with Ricardo's theory of ground-rent that Marx, for the first time, came to make the relations between 'value' and 'price' explicit, doing so in terms very close to those used in what would later form Capital, Volume III, Part VI. From the outset, Marx emphasises that ‘Competition does not therefore equate commodities to their value, but to cost prices which are higher than, lower than or equal to their values according to the, organic composition of the capitals.' It would seem that Marx is re-discovering the difficulty previously encountered by Ricardo: exchange is not based on the labour-time incorporated if the prices incorporate the general rate of profit. This difficulty results in two kinds of development. On the one hand, the analysis of the forms of value, which manifests itself in the successive versions of Capital, I, Chapter 1 (Cf. Section II above). On the other hand, the well-known 'transformation of values into prices'. Besides this first formulation of the analysis of the relationship between value and price, we can see Marx's concern to establish as quickly as possible the connections between the development of theory and the practice or struggle in which he was taking part. In this case, it is analysis of the contradictions of a certain practical solidarity between capitalists and landed proprietors. It is in fact this concern which leads him: firstly, unlike Ricardo, to distinguish the possibility of 'absolute' rent independently of ‘differential' rent; secondly, to base the existence of ground-rent on comparison of values with 'cost prices' (which he confused, at the time, with 'production prices'). This procedure made possible an identification of the spheres of Value' and 'exchange-value' with one another. Marx himself elsewhere criticised this identification which arises again in the problem of 'transformation'. (Cf. Sections I and VIII in this note). (i) As in his Marginal Notes on Adolph Wagner’s 'Lehrbuch der politischen Okonomie', Marx distances himself from the 'theory' of value, indicating that the concept of value takes second place, in his work, to the analysis of real relations. 'The unfortunate fellow (author of a review of Capital, I) does not see that, even if there were no chapter on Value' in my book, the analysis of the real relations which I give would contain the proof and demonstration of the real value-relation.' (op. cit. p. 251). (ii) The second point concerns the relation between the magnitudes of values and exchange-relations. Rebutting the vulgar economists, Marx emphasises that there cannot be immediate identity between 'the real relations of day-to-day exchange' and the 'magnitudes of values' in bourgeois society. But if there is no immediate identity, Marx nevertheless leaves room for a certain ambiguity on the possibility of mediations. The 'blindly operating mean' has in fact been interpreted in an 'economistic sense to form the basis for the 'transformation' approach. (iii) Finally, this letter leaves open the possibility of a naturalist interpretation of the concept of 'law': 'No natural laws can be done away with. What can change in historically different circumstances is only the form in which these laws assert themselves', (op. cit. p. 251). Consequently, - it seems that Marx is here considering Value' to be an ahistorical concept, and that it is only the form in which it manifests itself, exchange-value, that is historically determined. 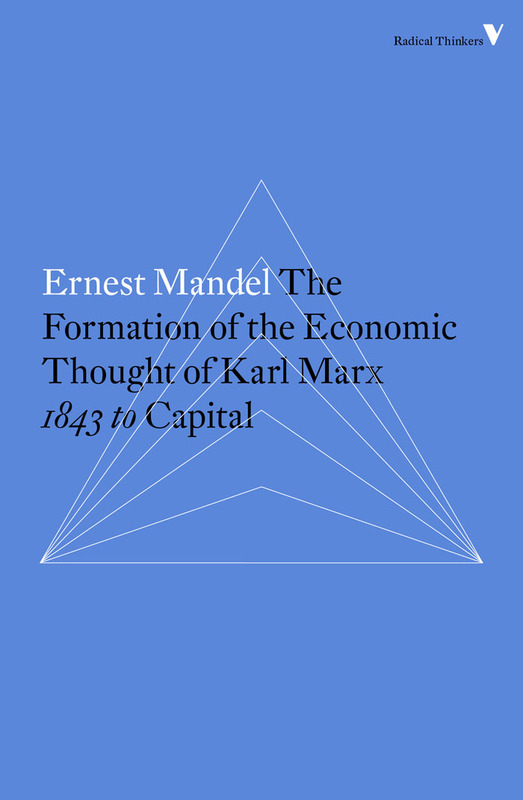 At the end of 1843, Marx began serious study of the works of the principal economists. The first writings explicitly dealing with political economy were subsequently known by the title of the 1844 Manuscripts', comprising the Notes on James Mill and, more importantly, the Economic and Philosophical Manuscripts. Ricardo's theories of cost price; and Chapter XV and XVI, which are devoted to Ricardo's theory of surplus value and of profit. These passages throw light on Marx's analysis of 'classical' theories of value, but only illuminate indirectly his own theory. Consequently, they leave the door open for an 'economistic' reading of Marx's position. (i) First of all, there is the question of the relationship between the search for an 'invariable measure' and Marx's theory of value. As far as Marx is concerned, the search for an 'invariable measure' falls out-side the problematic of value. The object of the theory of value is not to constitute an 'invariable measure' of the exchange-relations of commodities. A 'measure' of this kind can only be conceived, in Marx's view, if a theory of value has first been constituted. For commodities to be compared with one another in exchange, in terms of exchange-value, it is necessary for the various commodities to be expressions of the same substance. 'The commodities must already be identical as values\ (Op. cit. p. 134). It is in so far as they are fractions of abstract social labour that commodities are expressions of the same substance. The abstraction here has nothing to do with any kind of mental process, but is the social mode whereby men's different acts of labour are recognised in a society in which commodity-exchange prevails. A second ambiguity, which follows on from the first, concerns the status of labour. Marx's main reproach to Ricardo is not so much that he is oblivious of 'abstract labour', but that he 'continually confuses' it (op. cit. p. 139) with the labour which is represented in use-value. (iii) Finally, it is in elaborating his criticism with respect to Bailey that Marx emphasises with particular clarity why the determination of the exchange-relation cannot be based solely on the exchange-relation itself. This critique, which is aimed directly at Bailey, also forms the corner stone of the criticism directed at the various theories, which do base the theory of value solely on the exchange-relation—viz. supply and demand. This is a series of seven notebooks rough-drafted by Marx, chiefly for the purpose of self clarification, during the winter 1857-8. The manuscript became lost under circumstances still unknown and was first effectively published in the German original in Berlin in 1953. In these ‘jottings’ Marx tackles a number of points which subsequently receive only sketchy treatment; in particular, with respect to value, the relationship of money to value, (in particular Penguin ed. pp. 136-172) and the relationship between exchange-value and private property (previously dealt with in the 1844 Manuscripts). Note also the passages relating to ‘Forms preceding capitalist production' (Penguin, pp. 471-514); not only because these passages have been much discussed (and criticised), but also because they contain in germinal form an analysis of the historical genesis of value and of the 'abstraction of labour', a problem which lies at the heart of our pre-occupations.